Cannabis science, testing and analytics giant Steep Hill Laboratories announced earlier this week they have received the green light to begin cannabis testing operations in the State of Hawaii. The movement couldn’t have come too soon for patients and dispensary operators. 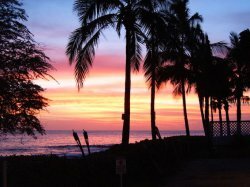 Hawaii’s medical cannabis program started in 2000. Dispensaries were not permitted until 2015 but rules required state-certified lab testing before product could start moving off the shelves. Without any labs officially recognized to do the work, no cannabis could meet the standard required for legal sales, leaving patients in a pickle. “Once the lab receives samples, it will take about four days to test and return products to dispensaries for sale, said Dana Ciccone, owner of Steep Hill Hawaii. As most states have experienced sales outpacing government projections, without the extreme negative consequences wrongly predicted by prohibitionists, Hawaii legislators should quickly consider legislation legalizing cannabis for all adults. The future of the Hawaiian cannabis industry certainly looks bright and opportunities will only continue to increase. The International Cannabis Business Conference this December 1-3 in Kauai, Hawaii, will certainly be an excellent chance to learn the latest developments and network with other professionals.